In a modern world like ours right now, we use energy in just about every aspect of our lives. From our personal smart gadgets to home, kitchen and entertainment appliances, to major machines and devices used in school, offices, and major industries, energy is a major factor to make all these things work for our comfort and convenience. Our preferred energy source is actually non-renewable like fossil fuel, which means we may use it all sometime in the future. That is the major concern among conservationists and everybody else who has a deep concern for the environment as this type of energy is also not-so environment-friendly. However, they make things work for us now and that’s what matters to the majority of people. However, as one natural disaster after the other strikes our country, we start to realize how much dependent we are on the oil industry and while we also have our fears about the environment, it also has a big impact on the economy. For starters, these industries are big and employ hundreds to thousands of employees whose main livelihood is their job. Second, almost every other industry in the world relies on oil energy in making, delivering, and selling their products and services to consumers and the market at large. With a scarcity in supply because of damaged oil plants in Texas, it sure will make a big impact on our nation’s economy and we’ll find out soon enough what it means to the rest of America (and even to the world, perhaps). Harvey shut down 22 percent of the nation’s refining capacity, vitally disrupted the oil and gas transportation networks that deliver energy to much of the US, and caused damage to facilities that leaked more than a million poundsof dangerous air pollutants into communities around Texas. The road back to full operational capacity will take weeks, if not months. It’s no secret that oil and gas infrastructure along the Gulf Coast is increasingly at risk and that climate change could render it useless. The US Government Accountability Office, the Department of Energy, the Department of Natural Resources, countless environmental groups, and oil and gas industry representatives have all openly warned of the coming catastrophe. With a tragedy as powerful as Harvey, many Texas locals did not anticipate the extent of the damage in the hurricane’s wake and were pretty surprised at how much flooding they had to brace for leaving many residents in a hurry to evacuate. But aside from the damage incurred by residents and local businesses, what hurts the state the most (and the entire nation, actually) is that the hurricane shut down 22% of the US oil refining capacity. It is a big blow for a progressive nation like America that highly depends on energy to get things done. 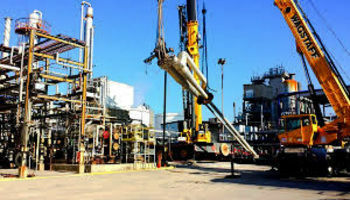 Refinery closures often can take weeks of work to restart, and that process can't even begin until flooded roadways are cleared and electricity has been restored on-site for plant operations. During this period of limited, or no production, other refineries in neighboring states often increase production to meet U.S. demand. At this time, there is no actual fuel shortage. However, there's no denying any disruption in the supply and demand fuel chain often results in higher prices and temporary fuel interruptions for consumers at the pump. All indications suggest Texas' oil and gas industry weathered Hurricane Harvey and the resulting widespread flooding like a champ. Every disaster is a learning experience and lessons learned from past storms such as Hurricanes Ike and Katrina are paying off. Flooding is rare in Texas and this reality is partly the reason why so many were unable to evacuate on time or even make the necessary preparations before the hurricane hits. It’s the flooding that really hit the state hard as most oil refineries are located there and it has temporarily put operations on hold as recovery measures are still being initiated. If there is any good that will come out of this experience, it is the lessons learned from this tragedy that one can only learn through the first-hand experience. All nations protect their sovereign territory from outsiders. It’s just normal. It is even more pronounced now with most countries requiring foreigners to secure certain types of visa when visiting abroad. Progressive nations are strict when it comes to this issue as they have more to protect and won’t just easily let in other races without sufficient documentation. The same thing is happening in a French woodland as the government evacuated hundreds of migrants to prevent them from crossing over into Britain with France as their gateway to a greener pasture. These migrants are mostly Iraqi Kurds and estimated to be about 350 all in all and have been camping in a wood in the French northern coast. There is a possibility that these migrants are planning on crossing over into the UK for various reasons. The British government is especially sensitive right now about territory issues as they themselves are planning to separate from the entire European Union and establish their own sovereign state. 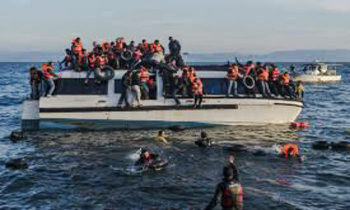 So far, the French government has broken the migrants into groups of ten and will be taken to various migrant centers in the country for proper assistance. French authorities evacuated hundreds of migrants from a wood on the northern coast near Calais on Tuesday over fears it could become a magnet for others hoping to head to Britain. Some 350 men, women and children, most of them Iraqi Kurds, had been living for weeks in squalid conditions in the wood on the edge of the town of Grande-Synthe. Hundreds of police were brought in to dismantle the camp as its residents were packed onto buses, bound for migrant centres in 10 different regions across France. "At the last count there were 56 children present and around 40 women. I can't let this situation go on anymore," local mayor Damien Careme told AFP on Monday before the operation. Grand Synthe lies 30 kilometres (19 miles) from the port city of Calais, where authorities dismantled the sprawling "Jungle" camp -- which at its height was home to 10,000 people -- in late 2016. These migrants have actually set up various encampments in different parts of France and are proving to be a major headache to local authorities as thousands of refugees seek refuge after being driven out from their hometowns. This European migrant crisis had been going on for some time as refugees are forced to seek solace in foreign soils as wars and political strife leave their nations uninhabitable for good. While they have been offered asylum in France, many of them are believed to still eye Britain as their final destination. The French government has spent nearly 34 million euros since 2006 on leasing private planes to move and deport migrants, a BuzzFeed News investigation has found. While a number of reports over the years have indicated that the French Interior Ministry has been leasing a single private aircraft that it uses to move asylum-seekers between detention centers within the country, new documents obtained by BuzzFeed News reveal that France has also been leasing several planes to deport asylum-seekers over the last 11 years. The French government has used a number of ways to deport migrants in the past, including commercial flights, trains, and boats. But the border police have also been hiring smaller chartered planes, manufactured by Beechcraft, from private companies to move small groups of migrants almost on a daily basis. It’s not just the threat of spreading the refugee crisis further that France has to deal with but the extra expenses the government incurs as they provide for some of the needs of the migrants and they do not come in cheap either. In order just to deport these people, the French has spent a total of 34 million in plane rental alone not to mention the salary of officials that deal with this crisis and every other expenditure related to the management of their presence. It’s a big burden indeed but is an intervention they must do in order to protect their people and ensure that law and order are upheld in their nation at all times. Scam artists use a host of tactics--bogus websites, emails, social media accounts and fake crowdfunding campaigns--to capitalize on Americans' generosity after major crises. The Justice Department's National Center for Disaster Fraud (NCDF), which was established to crack down on scams following Hurricane Katrina, released a statement on Wednesday warning of post-Harvey charity fraud. "Unfortunately, criminals can exploit disasters, such as Hurricane Harvey, for their own gain by sending fraudulent communications through email or social media and by creating phony websites designed to solicit contributions," the statement said. Attorneys General in Colorado, Ohio and Arizona have also sent similar warnings. Technology is fast evolving and it seems that it can’t be stopped by any of us. After all, we live and breathe technology these days. That’s just how dependent modern life has become to tech advancements. You think you’ve seen it all but no, there is so much more to explore and develop when it comes to technology. We are just at the brink of its further evolution and experts aren’t even sure humanity is ready for what is awaiting us in the years to come. There is one thing for sure though, we don’t have to wait for long to see for ourselves how these new technologies unfold and become a part of our daily lives. And we can count on Microsoft to ensure we don’t have a hard time coping with these new changes because they’ve already prepared a coding program for quantum computing as early as now. The average Joe probably finds it impossible to grasp how quantum computers work, which makes Microsoft’s initiative more instrumental in helping people understand the inner workings of quantum computing so we won’t have that much of a hard time adjusting once it becomes accessible to the public. Microsoft is effectively building a language for computers that don't really exist yet. 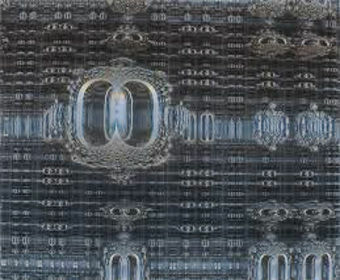 The most advanced experimental machine, a 16/17 qubit model, was built by IBM and has run over 300,000 experiments. It's far from being ready for commercial applications, though. Big Blue recently unveiled an initiative to build commercial quantum computers called IBM Q, and has already released its own programming tools via an API called the IBM Quantum Experience. Microsoft's programming language doesn't have a name yet, but the company already has plans for quantum computing in AI. In particular, it thinks that the machines could be used to train its Cortana digital assistant in days instead of months. "Even if everything else was the same, Cortana would improve 30 times faster," Microsoft's research chief Craig Mundie says. Many of today’s brilliant minds in all aspects of science, computer, and technology have teamed up in further developing this program because it’s not an easy feat to do, that we can be sure of. If you look at it, this program is actually made for a device that isn’t available to us yet. The company has not even coined a name for it yet, so it’s pretty much anonymous up to the time being. At the Microsoft Ignite conference today, the expert panel on stage burst into laughter. “This box right over here behind us – nothing! That’s a quantum joke, that’s an excellent joke,” said Microsoft Technical Fellow Michael Freedman as the curtain failed to open to reveal it. It being a quantum joke, the audience in Orlando, Florida, was a little slow to catch on. Quantum computing uses qubits, which unlike conventional bits can be in a superposition of one and zero at the same time, enabling the extremely rapid parallel processing of data. A box that is both present and not present, how appropriate. Experts are hoping that even though quantum computing is still not entirely our reality, it will hopefully be realized in the coming years and solve many of today’s problems that are still without a solution until now. It may even offer the solution to climate change problems we are facing today along with agricultural and health issues that plague our daily existence. If quantum computing has its pros, it also has its cons. Encryption comes to mind as it is something quantum computers can easily crack but is also a measure that enforces cyber security right now, so that may raise some red flags when the time comes. But some would rather cross the bridge when we get there. Artificial intelligence is the direction we are all heading. It is inevitable for that time to come and Microsoft just wants to establish themselves as an innovative and cutting-edge company that is ready to take on this new and uncharted path all the while making preparations as early as today. Not everyone has the luxury of shopping without even taking a quick glance at the price tag. I’m sure most of us look at the price tag first before we even consider buying something for ourselves much more for our families, friends, and others. And come Christmas time, you need to do more shopping as there is usually a long list of people you have to give gifts to especially to kids in the family and your godchildren if you have one or more already. After all, Christmas is for the kids and the kids at heart. We have the fondest memories of the holiday season since our childhood and it often involved gifts no matter how much we want to deny that material things are not that important. If you belong to the majority where money is still an issue when it comes to your Christmas shopping, then you’re definitely reading the right article (this is a great guide, too). It might take a little r esourcefulness and creativity in pulling off the perfect present for the people who mean a lot in your life but it’s still possible to do that even if you stick to a certain budget. A lucky few have mastered this technique and they’ve elevated it to an art that many people are wondering if it’s really possible and how do they even do it. Well, it takes just a lot of planning and knowing what to do, where to go, and when to buy. They had to learn the hard way too but has certainly learned from their mistakes and now keep these tips in mind as well to save your wallet from dying once Christmas comes knocking on your door. The first thing you need to remember is to write a list of all the people you are giving gifts to, every single one of them. Then, think of an appropriate gift they will like and how much you are willing to spend in buying that particular present. Do this as early as possible, so you don’t miss out on great deals before the holiday season even starts and discounts are gone. Most malls and shops have different sale schedules all year round, take note when you can go to these places and how much you have money with you and what you can buy from your list. For those who hate being in a crowd of shoppers, you can also shop online like the majority of people do these days. You’d be surprised at how many do this now and the deals aren’t bad either. Don’t wait until after Thanksgiving to start buying holiday gifts. Keep your eyes open all year round for items friends and family would like; it’s often when you’re not looking for something specific that you stumble across the perfect gift for Dad or your best friend Jenny. Once December hits, you’ll be glad that you already have some people crossed off your list. Just make sure to keep all your advance gifts in a designated (and hidden, if necessary) spot so that you don’t forget a purchase you made months in advance. And yes, I can’t stress it hard enough to start your shopping early whenever possible. You have more sales you can buy from and you don’t have to buy everything in one go, thus it’s more friendly to your wallet. You also have the luxury of time with you. You won’t unnecessarily stress yourself about petty things because you have more time on your hands to finish your Christmas shopping unlike those who prefer to buy when Christmas is almost there. And of course, you can take advantage of shopping at super great deals during Black Friday, perhaps among the last major discount, you can get from the biggest shopping spree of the year. If you’re looking for great deals and aren’t afraid of battling large crowds, the day after Thanksgiving is a shopping must. Get a head start on fellow shoppers by checking a website like Blackfriday.org before the big day. The site compiles Black Friday ads from various stores and updates the information as it becomes available, allowing you to plan out which stores to hit and what products you intend to buy. Some stores even offer advance “Black Friday” sales before Thanksgiving, so it’s worth it to peruse the listings early. Be warned, though—some so-called “Black Friday” deals aren’t any cheaper than the regular sale price, so do some extra research before you camp out in the store parking lot at 2 a.m.
Now, it’s not all over after the Black Friday sale. What follows is it another epic shopping experience comes Cyber Monday. If people line up outside malls, shopping centers, and shops on Black Friday, you’d be needing your computer this time as you’d be placing your orders online. I’m sure many are no longer new to online shopping as it has evolved to become the preferred way of shopping for most consumers because of its sheer convenience. Imagine all the money you can save from gas/transportation, food, and all the hassle of having to go out there and spend hours looking for things you like when you can simply do it online in the comfort on your own homes. Best of all, you’d get your orders delivered to your doorsteps. Cyber Monday is one of your last resort to enjoy amazingly big discounts for potential Christmas presents you can buy for all those people on your list. Most of us watched Disney movies and television shows growing up. It’s the perfect past time for us because we get entertained with these shows while passing time and our busy parents can finish whatever they need to do at home or work without us constantly bothering them. And as we (young children) grew up, we also made our kids watch the same shows (and more) we watched growing up, but this time, we also buy them Disney-related merchandise being sold in Disney stores in various parts of the globe. 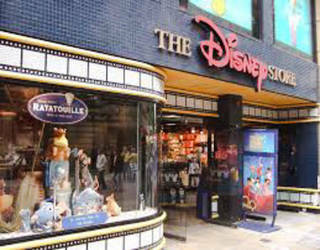 Disney-themed apparel, toys, accessories, and so much more has captured the fancy of both parents and children alike. They are favorite gift ideas for just about any occasion and can be given to both the young and the old. As more and more people favor online shopping over traditional shopping, shops like that of Disney learned to innovate and embrace these new changes to reach a bigger market. Now, online stores can sell to virtually everyone on the planet who has access to the Internet, which means bigger profits too but it also meant a decline in sales in actual retail outlets. Disney today launched its reimagined e-commerce site, ShopDisney, featuring a curated selection of Disney, Pixar, Star Wars and Marvel products for fans of all ages across fashion, accessories, toys and home. At the same time, the entertainment megabrand is testing a new retail prototype in select locations around the world, including a 3,200-square-foot shop in Westfield Century City in Los Angeles that is set to bow at the mall’s grand reopening on Oct. 3. People aren’t just buying the merchandise but the memories they have of these characters and what they mean in their lives. But this time, shoppers will also get to purchase all things Disney from their select reimagined shops in different parts of the planet that are now made interactive for a better shopping experience. Their dream of offering the ultimate one-stop-shop is here and every Disney fan can’t wait to see what these shops have in store for them. The redesign makes Disney’s stores a bit more like Disney’s theme parks. For instance, daily parades at Disneyland in California and Walt Disney World in Florida will be streamed live to those colossal video screens. During the parades, store personnel will put out mats for shoppers to sit on and roll out souvenir carts stocked with cotton candy and light-up Mickey Mouse ears. The screens could easily be used to stream other events, such as red-carpet arrivals for Disney movie premieres. That kind of programming could bolster foot traffic and thus sales — while also turning the stores into a more potent promotional platform for Disney’s films, television shows and theme parks. Perhaps this move will not just improve the performance of physical Disney stores but as well as uplift the mood in the part of town where they are in and in turn trigger a domino effect that will also benefit neighboring businesses. To stay competitive in this day and age, Disney is proving to be aggressive in knowing the pulse of the people, so they can better meet their needs and stay relevant in the process. It is actually a win-win situation for them. After all, that’s how a business grows. You grow alongside all the changes in society and you fade into oblivion if you do not learn to innovate. Many stores have since closed down because the public no longer feels the need to make their purchase personally when they can do so from the comfort of the own homes. Did you just drop a few hundred bucks or more going to a professional sporting event over the weekend? You're not alone. 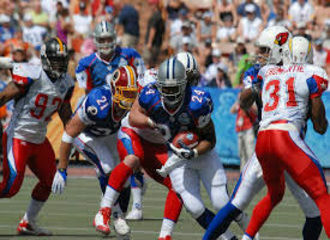 Consumers shelled out $56 billion to attend sporting events over the past year, according to a new study by CreditCards.com. 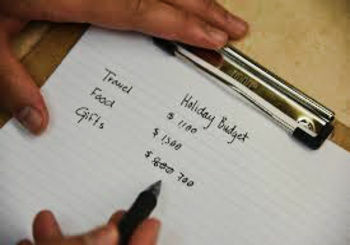 The amount includes the cost of tickets, transportation, and food and drinks. By way of comparison, that's more than double the $27 billion-plus that Americans spent on book purchases in 2015, according data from the Association of American Publishers. "The fact that people are spending this amount of money on sporting events shows the emphasis they're putting on experience and memories instead of just stuff," said Matt Schulz, senior industry analyst for CreditCards.com. We understand that becoming sickly is quite expected as you age because your body degenerates over time. It is a fact of life. However, it does not mean that your quality of life deteriorates as well simply because you are aging. We are all expected to age, yet some manage to age gracefully and live a quality life in the twilight of their lives compared to others. Yet the majority of the elderly struggle in doing even the most basic of tasks and it has given everyone the notion that getting old is a major bummer. Well, it is true in most cases since you move slower as you age as your physical body becomes more fragile than ever. 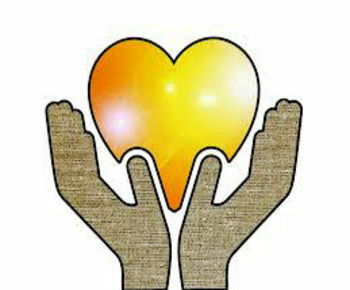 It is the reason why the elderly are included in the vulnerable groups together with young children and pregnant women. It does not also come as a surprise that most elderly people take a lot of maintenance medications for a variety of health conditions they are diagnosed with. Most of us think that it is better for older people to take many meds to ensure they live longer and beat whatever diseases they have but it seems we are actually mistaken. Medicine is not always the cure nor is aggressive medical treatment. Geriatricians like Taler come in, talk to the patient, examine their pills and make recommendations that ideally are aimed at the whole patient, not just his or her heart or lungs or pancreas. With a frail elderly patient who may not have many years to live, some of the established drugs and procedures don’t make sense anymore. Are a diabetic patient’s other doctors pushing too hard to lower his blood sugar, raising the risk of a faint, which could result in a broken hip? Is an orthopedist recommending arthroscopic surgery—a procedure, research shows, that doesn’t cure arthritis? All those expensive Mohs procedures to remove precancerous growths—given how slow-growing they are, is it always worth the time, expense and strain on the patient to remove them so carefully? Doctors are changing their management approach when it comes to treating elderly patients. If you look closely at the long list of drugs and treatments that many elderly patients receive over the years, a lot of them are deemed unnecessary and may even be detrimental to the senior’s life (and health) one way or the other. Sometimes many medical providers push for aggressive treatment that the frail body of an elderly person can no longer take, making them more prone to certain accidents or infections rather than making them well again. We can’t stop the hands of time. Your body goes through various changes as you live your life and the stress of all the past years takes its toll on your body. It is not just the wrinkles that line your face that causes you to feel down but the lack of sleep as well that often accompanies aging aside from all the other bothersome and painful symptoms of the conditions most seniors are diagnosed with. But with prompt and proper holistic treatment, the elderly people can still live independently and not always succumb to sickness. 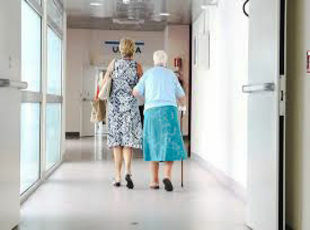 Doctors should not just prescribe the first drug that comes to mind and think of the elderly patient in a context that is not limited to their condition but as a living and breathing human being that needs a balance of tender love and care along with the appropriate medical intervention. Just How Sane Is The President? We can’t deny that President Trump won the election fair and square but still, he is the one that issued complaints of election fraud. His personality is as colorful as the life he has lived so far and he makes all his thoughts known to everyone in Twitter, even up to now that he is the most powerful man in America. Many start to wonder just how sane the president is because of his off comments, bigger than life personality, radical views, and just almost everything about him spells weird or out of the norm. Despite winning the presidency, it has not stopped President Trump from being himself from then on until now. Hence the detractors are always busy writing up stories about him and critiquing the way he runs the nation. He promised to make America great again and it looks like it is far from becoming a reality with North Korea constantly issuing threats against the mainland US and Guam as of late as well as firing a test missile that landed in the Pacific that even passed by Japan’s northern part. So, it is but understandable for US citizens to be worried about the country if the president doesn’t seem to get his act together and can’t even unite the Republicans in the Congress to repeal his much loathed, the Affordable Care Act more popularly known as Obamacare. So the 75-year-old Coronado resident and retired Duke University psychiatrist perks up when he hears the increasingly open speculation about whether President Trump has the disorder or some other form of mental illness. But that doesn’t mean he approves of Trump’s behavior. 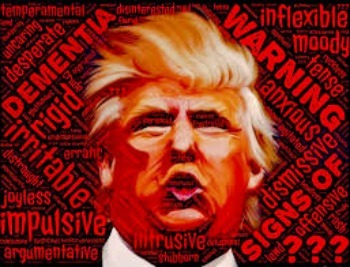 Far from it, as he makes clear in a scathingly critical new book, “Twilight of American Sanity: A Psychiatrist Analyzes the Age of Trump,” due out Tuesday. “Blaming Trump for all our troubles misses the deeper, underlying societal sickness that made possible his unlikely ascent,” Frances writes. By societal sickness, he means the “delusions” that deny the impacts of climate change, overpopulation, resource depletion, income inequality — problems that will “bequeath to our children an unlivable planet.” He was concerned about those before last November’s election. It is known by almost everyone how much people talk about the president’s current state of mental health. While it was refuted in this article, it does not normalize the president’s behavior either and acknowledges many of his wrongs that he consider as perfectly normal. Many are rallying up to push for resolutions citing how unfit the president is in leading the country as its highest elected official because of the many times he displayed erratic and weird behaviors. If this keeps up, his critics may be able to find a ground to have him ousted from office for real. We believe it does a disservice to public discussions of mental illness to create a false dichotomy between “mad” vs. “bad,” given that these kinds of behaviors and symptoms sometimes co-occur. It is certainly true that many individuals with mental illness do not manifest “bad” behaviors that harm others. Nevertheless, some mental disorders are characterized and even defined by behaviors that harm others — bad behaviors in Dr. Frances’ words. It is not at all comforting for others to confirm that President’s Trump mental health is just fine and he is apparently as healthy as a horse. It even makes him more of a threat and a danger to a civilized society like America simply because of who he is. His unstable behavior may hinder his judgment and make him prone to making bad or biased decisions that aren't entirely for the best of the entire populace. The mere fact Trump isn’t at all bothered of his behavior is a big red flag to everyone. 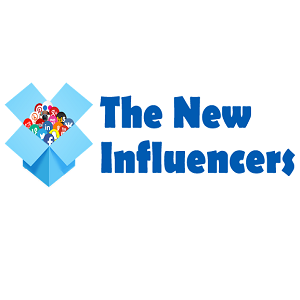 The world is fast becoming one big market since the Internet paved the way for increasing globalization. There may be wars fought here and there and religion remains to be the great divide for some but we can’t deny how increasingly smaller the world has become as we continue to embrace all that technology has to offer. Social media enabled people to interact with others from thousands of miles away and make a joke about the physical distance between people as we connect, reconnect, and interact with others the world over. It is even common now for people from different parts of the globe to compete for the same job especially when it is something that can be done over the web. 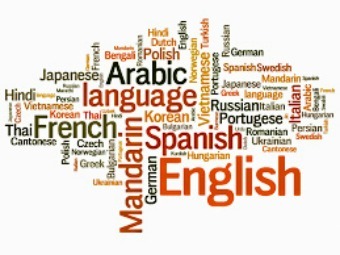 While English remains to be the #1 language used in most companies, institutions, and organizations, it won’t hurt if you learn a foreign language or two as it will give you an edge over competitors or make it easier for you to build rapport to other races that aren’t always savvy with the English language. It might also come in handy if you love to travel far-away places that aren’t native English speakers like South Korea, Japan, China, Germany, Spain, France and many others. I have been learning languages since the age of 10, when I started French at junior school – and I’ve never looked back. Learning French led to learning Latin, then German, then Spanish and then even some Italian. It has helped me to make wonderful friends in this country and abroad (linguists and others), and given me a first-class university education, a successful career in business and academia, a knowledge of other countries and cultures, a love of wine and food and indirectly of classical music, art and heritage – and an ability to communicate with people at all levels. In spite of the undoubted importance of English internationally, other languages still matter at the local level and for a whole host of other reasons. A lot of smart organisations favour job applicants with language skills because they are clever, flexible and able to think outside the box, in addition to the obvious benefits of being able to communicate with speakers of other languages. Not only does learning a new language make you look smart, it can help you get into a study abroad program, a new job, get promoted, get an overseas assignment (with higher pay and better perks), get to meet new friends, and so much more. Speaking another language raises your awareness and appreciation for other culture, food, and the arts among others. You’ll soon notice that more opportunities open up once you have a deeper understanding of another language. Prime Minister Bill English has launched National's election campaign with a series of $379 million education policies - including giving every primary student the chance to learn a second language. Other parts of the package are aimed at improving the teaching of maths to primary schools, IT digital learning for senior secondary school students and extending National Standards. English made the announcement to a rally of at least 2500 people at Henderson in West Auckland today. English said that voters would have an important choice between two very different visions for New Zealand. NZ officials know very well how powerful learning a second language is and they are giving their citizens an access to do that with the government’s support. The economy gets better if its people can communicate better with other races now that the global market is more competitive than ever. The entire world can be your oyster if you just know how to reach out and connect with others. And learning a new language starts at school where a young child’s mind is honed, educated, and prepared for what awaits in real life. Other governments should follow in New Zealand’s footstep and invest more in children’s education especially that they are the future of any nation.